Key Plastics is very proud to have been awarded Engineering Manufacturing Team of the Year, at this year’s Inaugural Manufacturing and Supply Chain Awards for high-impact companies. The Awards celebrate Ireland’s brightest, close-knit manufacturing teams across 15 different categories. The emphasis on professionalism and working together was recognised at the awards ceremony on the 17th of January 2019. A total of 45 companies were shortlisted for the awards across 15 categories. 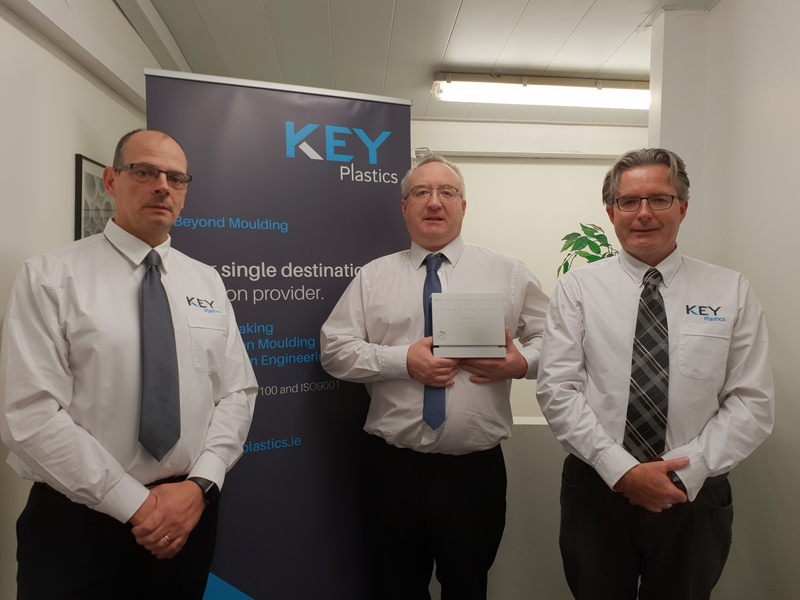 Ciaran Downes, Engineering Director at Key Plastics, said: “At Key Plastics we always work closely as a team to deliver the best results for our customers. Drawing from a wealth of experience we actively combine skills and offer our customers the very best in practical engineering solutions. We are very proud that this work ethic has been recognized. We were up against very tough competition and would like to take this opportunity to congratulate all finalists”. Competition was fierce this year with hundreds of entries applying across 15 categories. Other winners included Java Republic who won Sustainable Manufacturer of the Year for boasting the world’s first purpose-built carbon-neutral roastery in the world. In addition to this, Intel were awarded ICT Manufacturing Team of the Year, while Kerrygold Park won Food Manufacturing Team of the Year.